The Ten Kate Honda team has today confirmed that Ruben Xaus is to join its current rider Jonathan Rea as part of its assault on the 2011 World Superbike championship. Xaus is one of the most experienced riders in the World Superbike paddock and the opening round of the 2011 season, scheduled for Phillip Island in Australia, will mark the Spaniard's 200th race start in the production-based series. The 32-year-old Xaus has 11 World Superbike race wins to his name, the most recent on a privateer Ducati in 2008. He has visited the podium no fewer than 35 times in his 199 starts and was championship runner-up in 2003. He brings with him valuable experience to the Ten Kate Honda team and a desire to prove that he still has what it takes to be a race winner. Now living in Andorra, Xaus is originally from Barcelona in Spain. A qualified mechanic, he speaks five languages and is married to Mariona, with whom he has two daughters. "It's difficult for me describe how happy I am that I will ride with the Ten Kate Honda team next season" declared Xaus. "For many years I have admired the passion and dedication that they bring to World Superbikes and I believe that they capture the essence of the championship. They run a successful Honda dealership in Holland and with the support of Honda Europe they manage a team that has some of the most skilled tuners and engineers. They have shown with all their world titles that they have the right blend of skill and desire. I know that I am capable of more SBK wins and I will bring all my racing experience, gained on many different types of machine, to help achieve more success with the Ten Kate Honda team. I would like to thank Gerrit, Ronald and all the guys Honda for the faith that they have shown in me and in my potential. I still have a lot of things I want to do in World Superbikes and I believe this team will allow me to achieve what we all aim for. It will begin with my first test with my new team at the end of this month and I cannot wait to start work." "We are delighted that Ruben Xaus will partner Jonathan Rea in the Ten Kate Honda team for 2011", added Ronald ten Kate. 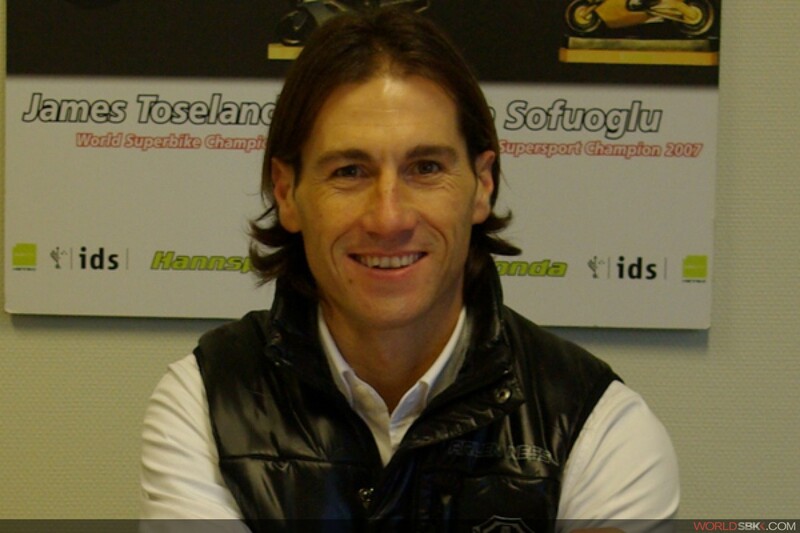 "Ruben will bring to the team a very high level of experience in World Superbikes - experience that he has translated into many podiums and 11 race victories. We have raced against him for many years now, and we have seen how competitive he can be. We believe that we can harness Ruben's experience and unleash the potential that he so clearly has for many more good performances. We are looking forward to working with him and to welcoming him to the Ten Kate family which, once you are in, you can never really leave! We have a busy winter schedule ahead of us during which we will develop further the Honda CBR1000RR with Jonathan and Ruben so that we are ready to go in Australia next year. We aim to show then that we have the potent machinery, a powerful commitment to success and the right rider combination that will achieve the results which we all desire so strongly."